We’re Tweeting About College – Follow Us!! This week’s episode is all about graduate level criminal justice programs. 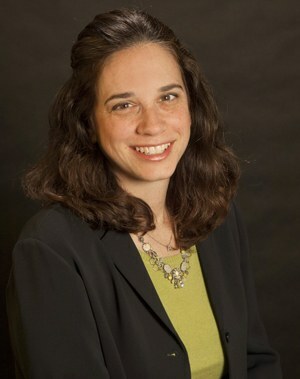 Scott is joined by Dr. Allison D. Redlich, professor and Director of Graduate Programs at the George Mason University College of Humanities and Social Sciences. Learn about the types of graduate level criminal justice degrees you can pursue, and the career opportunities that await you once you’ve completed your program. Listen in as Dr. Redlich walks you through some of the courses she teachers, goes over some of the skills and interests that are helpful for successful criminology students to have, and much more. What “criminal justice” or “criminology” is, and how it relates to society. What professional opportunities await those with graduate level criminology degrees. How graduate level criminal justice programs are organized and the types of classes students must take. How important being a self-motivated learner is to success in graduate fields, especially when you’re doing research. How graduates from criminology programs are influencing policy and society today to reform the criminal justice system. George Mason University has four campuses in Virginia (plus one in Songdo, Korea) and a plethora of undergraduate, graduate, and doctoral degree programs, making it Virginia’s largest public research university. With a diverse student body, the university strives to promote integrity, and honor freedom of thought and expression. Students can utilize the university’s career and health services, and participate in any of the 500+ clubs and organizations available on campus. The MS in Criminal Justice degree program at George Mason University is designed for early-to-mid-career criminal justice professionals, with the goal to develop the analytical, research, and leadership skills necessary for this field. Students in this program can take classes like Implementing Crime and Justice Policy, Leadership in Justice Organizations, and Evaluation of Crime and Justice Policies and Practices. The university also has a PhD in Criminology, Law and Society degree program that aims to prepare students to conduct scientific research in the criminal justice field and implement changes to the development and evaluation of justice policies and practices. Interested in Criminal Justice? Click here to explore Master’s and PhD in Criminal Justice programs further and learn about your degree options. Don’t miss an episode – subscribe to the YesCollege Podcast! We're the YesCollege team, and we're pretty nerdy when it comes to higher education. Between our awesome podcast, with REAL COLLEGE PROFESSORS, and our database of programs, our goal is to help prospective students make the absolute BEST choice for their degree.